A Chinese host, actress, and singer, Annie Yi was born in March 4, 1969 in Taiwan. She is very popular on TV and in movies, both in Taiwan and in mainland China. She has starred in three popular Chinese TV programs: Concubines of the Qing Emperor, April Rhapsody, and Poor Prince Taro. Jolin Tsai is a Golden Melody Award winning Taiwanese Mandarin-pop or Mandopop singer. 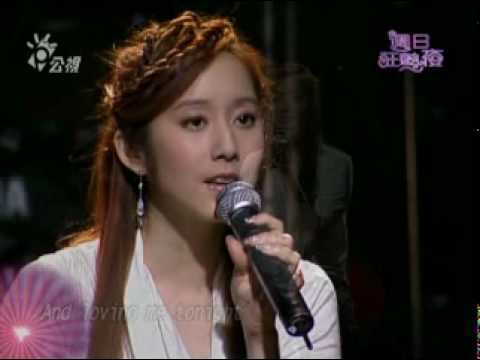 She is also one of the most successful and popular singers in the Mandarin music market. Karen Joy Morris, or popularly known as Karen Mok, is a Hong Kong based actress and singer. She speaks English, Cantonese, Mandarin, Italian, and French. She was also the voice of Princess Kids for the Cantonese dub of Disney’s Atlantis in 2001. She also performed in the international tour of the Broadway musical Rent as Mimi during their Hog Kong stops back in December 2005. Evonne Hsu was born just a few minutes from Houston, Texas on December 05, 1979. She is an American born Taiwanese pop singer who released her first album in 2002 and has recorded 6 albums to date. The album Evonne Hsu recently released includes a hit song entitledÂ Poem Water Snake Mountain Temple composed by pop guru Jay Chou. You are currently browsing the Chinese Music weblog archives for May, 2008.